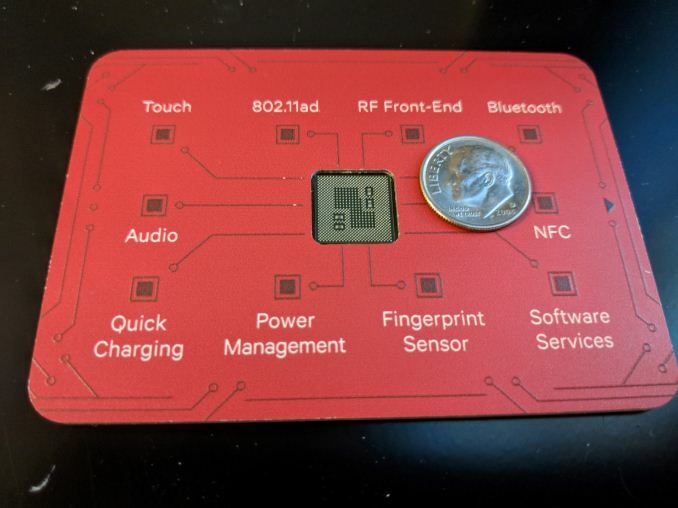 Well folks, it’s time we got more details for the Snapdragon 845. Less than two weeks remain before the Galaxy S9 and Galaxy S9+ launch. Therefore, a first detailed looks is mandatory. 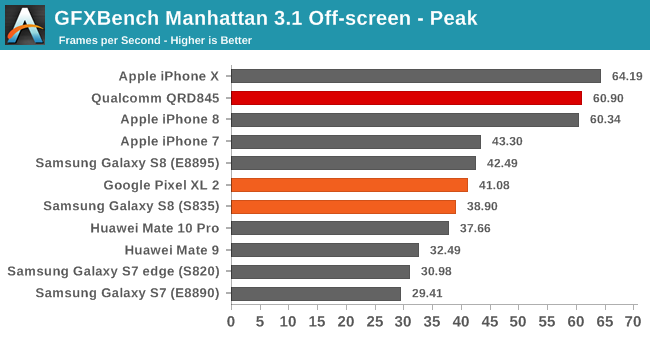 Especially after Apple’s important performance gains on last year’s A11. 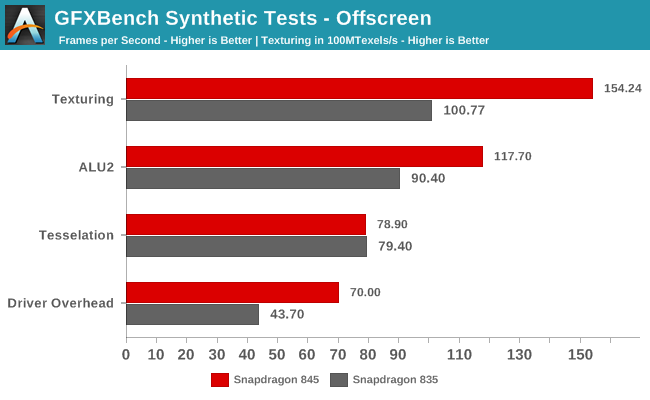 Anandtech took their time testing the Snapdragon 845 provided by Qualcomm. 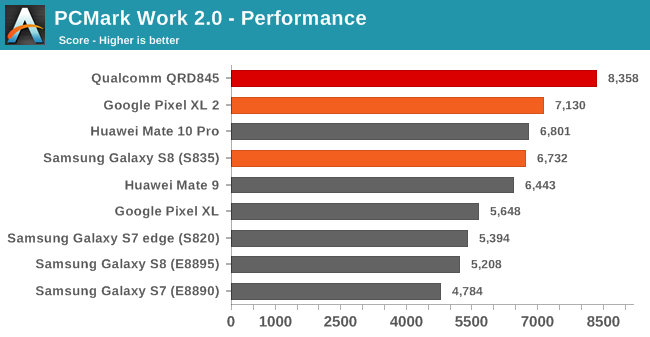 These results show how the processor doesn’t meet ARM’s expectations for A75 performance. Take a look below for the details. 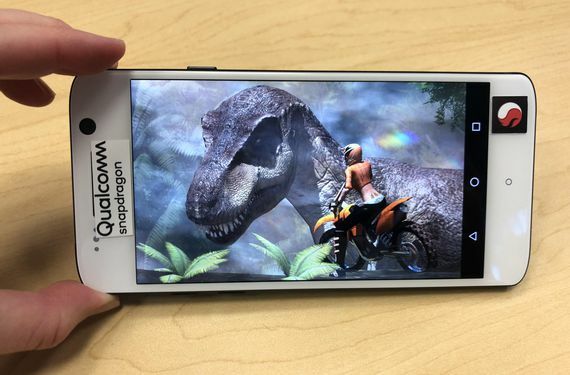 When we take a look at Qualcomm’s Snapdragon 800 lineup over the years, the company isn’t delivering consistently. The 835 succeeded the 820, which intended to compensate for its predecessor. However, the Snapdragon 835 still does not distribute loads equally/core, nor does it allow full temperature scaling. These details require time and with its latest processor, the Snapdragon 845, Qualcomm’s had a lot of it. 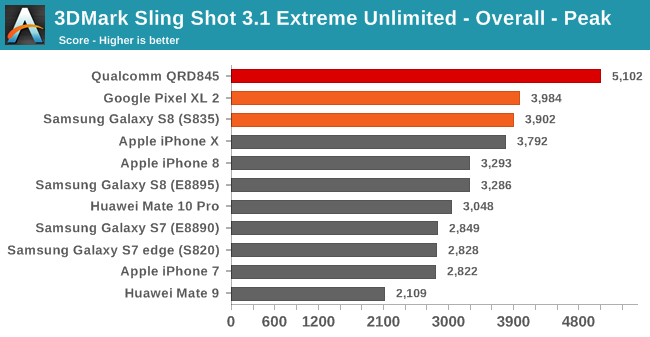 Still, even while CPU suffered over the years, Qualcomm delivers consistently on the Adreno lineup. Its GPUs continue to draw users in throngs, despite weak compute performance. And this is one segment that shines remarkably in today’s benchmark results as well. In addition, performance efficiency also increases, with the Adreno 630 delivering 3.64 more fps/W. Samsung, Huawei and Apple all remain unable to match San Diego’s numbers. Computing, execution and latency, among others continue to remain as Qualcomm’s weak points with the Snapdragon lineup. We’ve got a lot of benchmarks today, that offer a good opportunity to freshen details up before the Galaxy S9 and S9+ hit the market. In addition, they allow removing all other variables which an OEM can affect. Starting off from GeekBench 4, the Snapdragon 845 improves singe threaded integer performance consistently across multiple tasks. 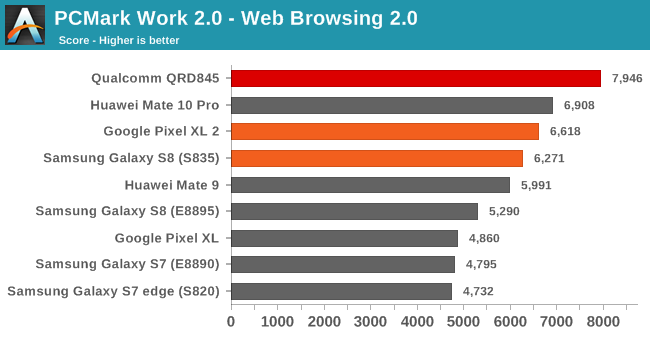 The bulk of this improvement surrounds browser and camera performance, according to Anandtech’s results. For floating point, the improvement is evenly distributed across the 9 categories, as 7 of these improve performance within the 40% – 60% range. 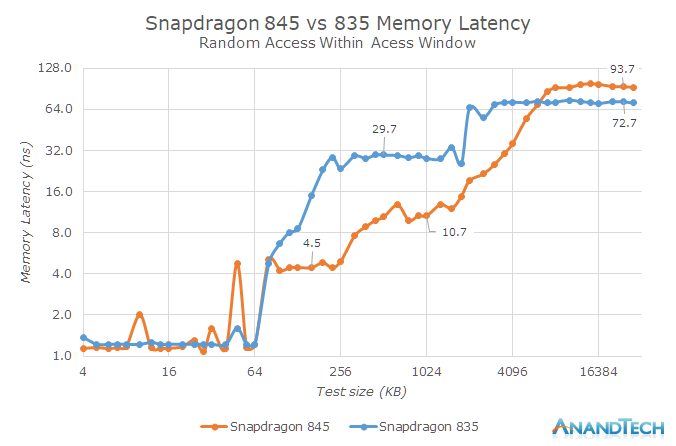 A key difference between the Snapdragon 845 and its predecessor is for memory latency. Qualcomm has changed the 2018 SoC’s architecture in important ways over the year. The processor has an additional 2MB L3 cache this year, but this is a result of transfer from L2, instead of new addition. The results, show only a 21ns gain. However, as you’ll see in the graph above, this smooths out at the center. The decreased 256KB falls adequately short of from its predecessor’s performance. 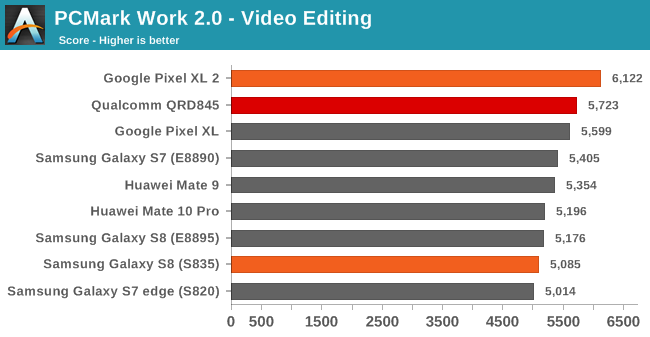 The Snapdragon 845 leads consistently in PC Mark, falling short only in Video Editing. 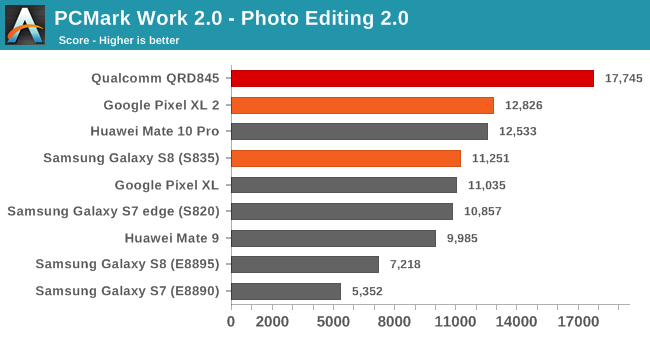 It shows strong leads in Web Browsing and Photo Editing. This is impressive, since it shows consistent improvements from Qualcomm’s part, despite falling below ARM’s performance estimates for the A75. 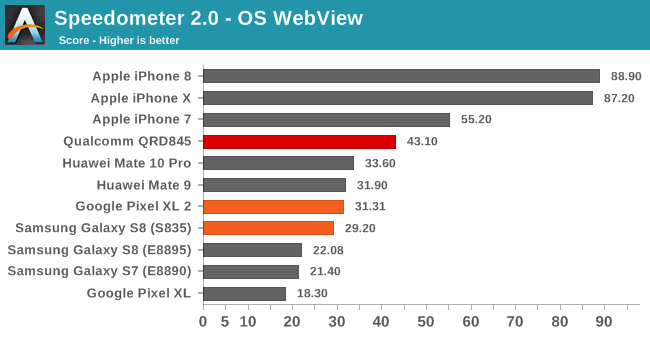 Switching over to iOS, the difference between Apple’s A11 and even the A10 with the Snapdragon 845 is stark, across both Speedometer 2.0 and OS Web View. 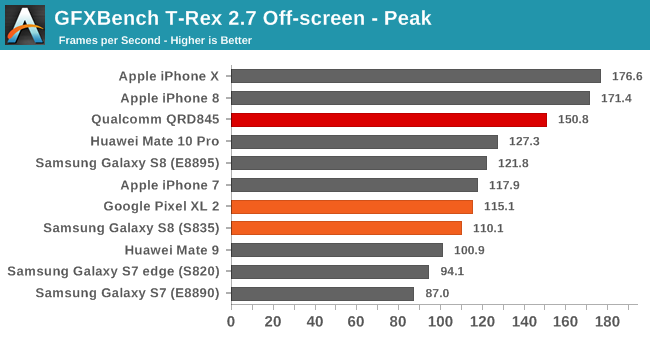 It’s in the graphics section where Qualcomm shines once again. While Apple’s A11 poses some problems for the Adreno 630, a clear throttle disadvantage for the former is clearly visible. Starting off from 3D Mark Slingshot, the Andreno 630 beats every other device available in today’s market. 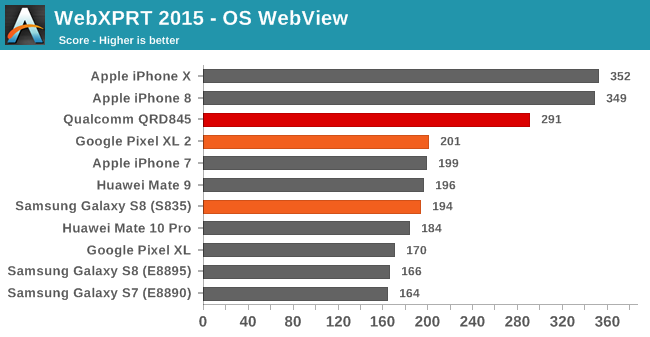 A key factor behind these results is Apple’s poor power/heat management on the A11. 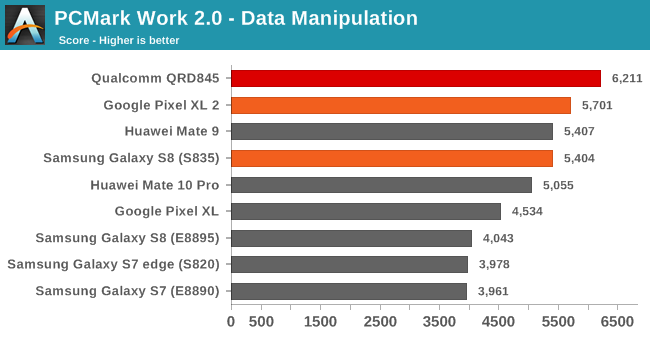 Data posted by Anandtech shows that the A11 can not perform at required levels when tested with multiple benchmarks. 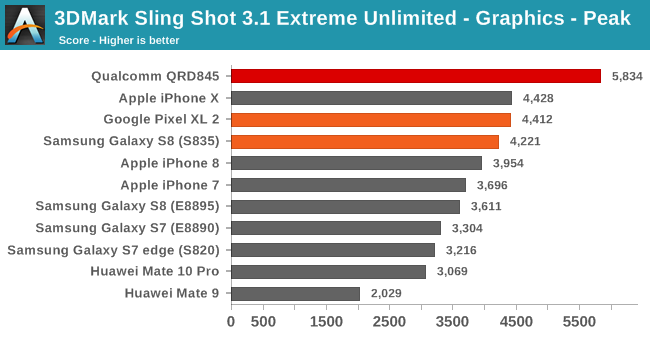 The processor throttles fast, showing Apple’s lack of attention. This results in severe drawbacks in the aforementioned tests. Moving over to GFX Bench offscreen, the Adreno 630 performs in response to how severely the A11 being tested is throttled. The result is more significant for T-Rex. 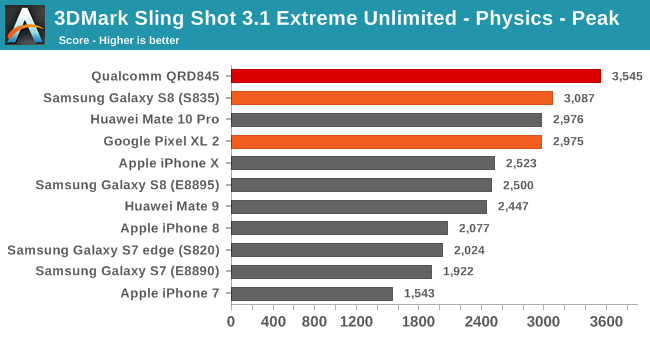 This thermal management on the A11 will also result in lesser fps/W, and since Apple’s got a complete smartphone to design, its performance will follow Samsung’s Exynos 8895. 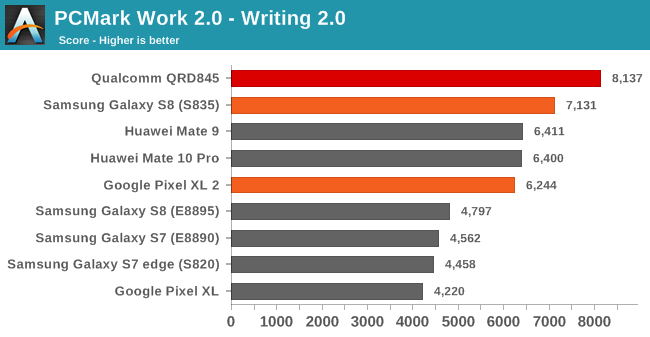 To conclude, today’s results show that Qualcomm is finally walking on stable ground w.r.t Kryo and CPU performance. Even if the company remains unable to meet ARM’s projected improvements, avoiding major pitfalls will work in its favor over the long-term. The chip giant does not have a lot of competitors across a lot of processors, especially globally. How it delivers, will clear out when the first 2018 flagship smartphones start to roll out. Till then, stay tuned and let us know what you think in the comments section below.